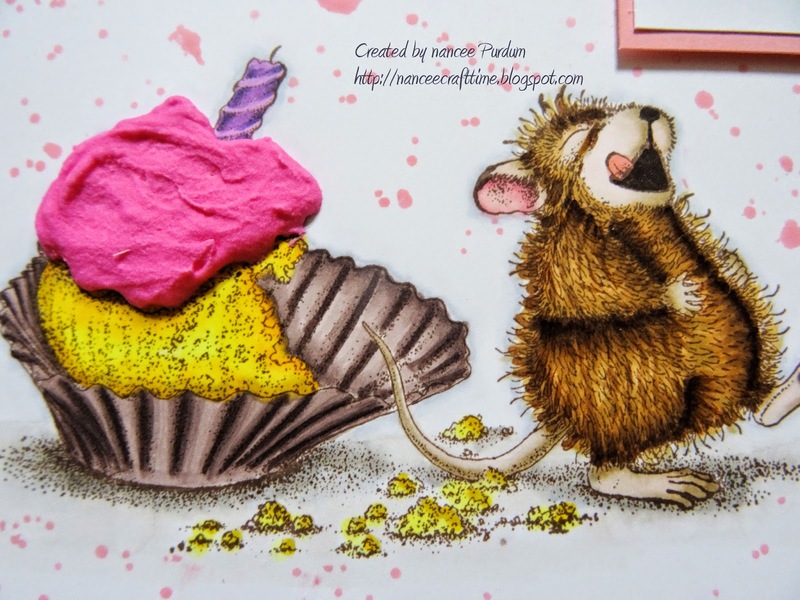 Another birthday card! LOL! There is always someone with a birthday! 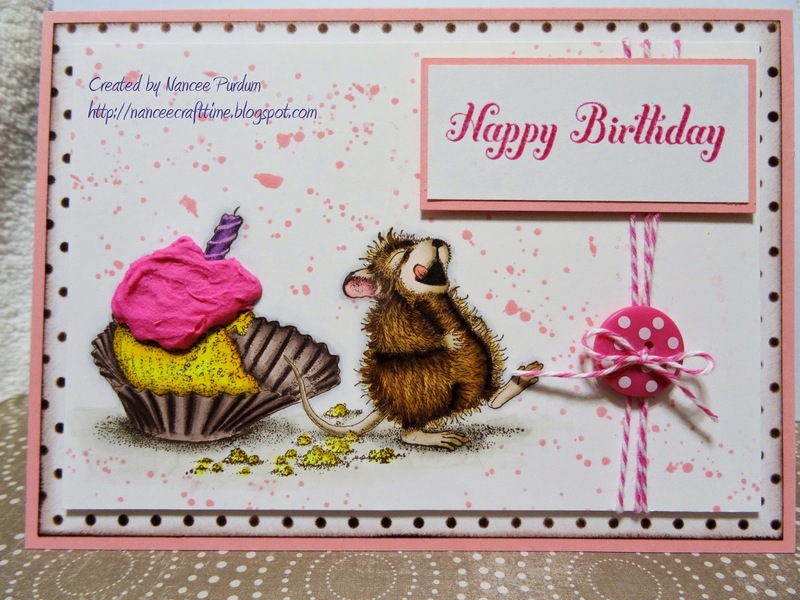 I used a stamp from Stampendous called Cupcake Belly from the House Mouse Designs collection. They are so cute! I colored the image with my Copic markers, but unfortunately forgot to write them down when I was coloring. L. For the background, I used another stamp from Stampabilities called Polka Dot. I stamped it in Chocolate Chip ink from Stampin Up. I love this color of brown! It reminds me of chocolate! (Too bad it doesn’t smell like chocolate……that would make it even better!) 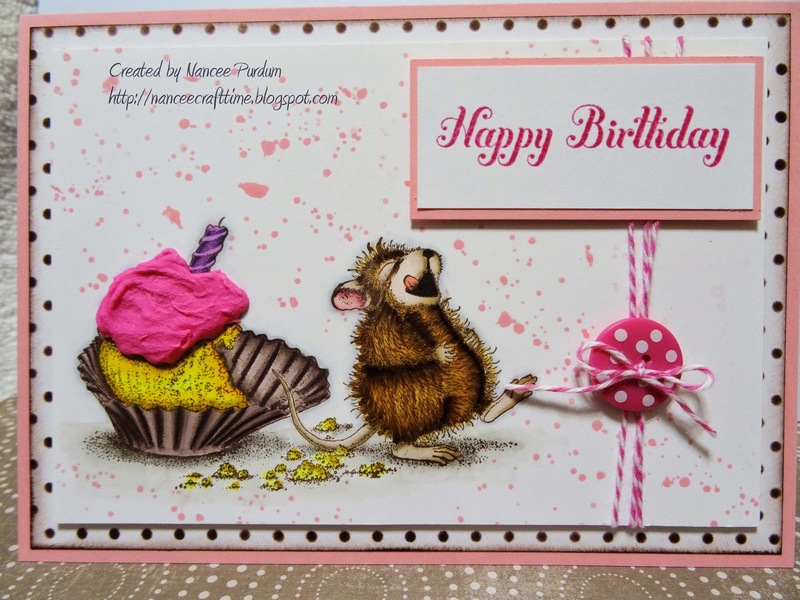 The background on the image is a stamp from Stampin up, Gorgeous Grunge. I have not used embossing paste before but thought I would give it a try. I wanted to make the icing on the cupcake stand out. I mixed it with Distress Inks, Picked Raspberry. I was really happy with the way it turned out and am sure I will be using this paste again. A close up. . . 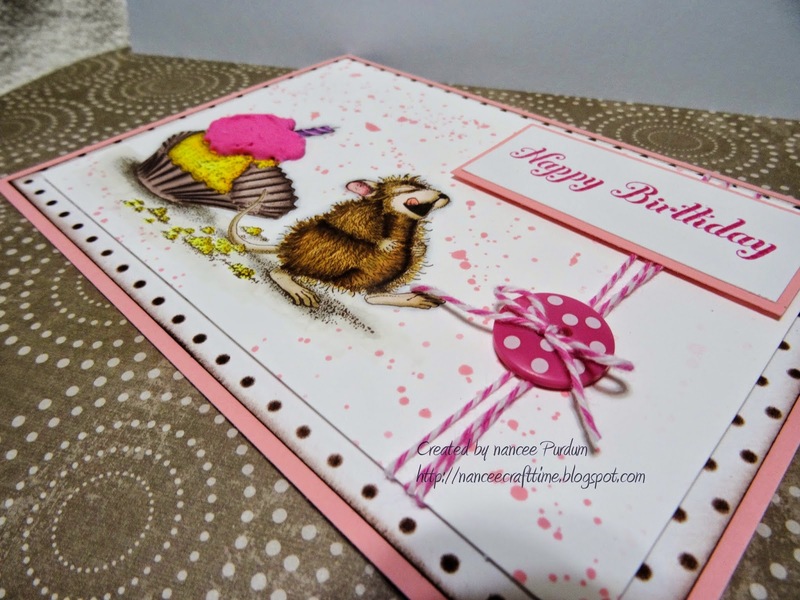 The Happy Birthday is from Stampin Up, Birthday Messages. I used clear embossing powder to make it stand out. ← Happy 80th Birthday Dad!